You can make a difference this holiday season in the lives of children and their families that have been displaced by Hurricane Sandy. As you may know from the posters displayed in windows around town, Life Guard Ecumenical Foundation (LGEF) is teaming up with Distinctive Toys, the Knights of Columbus, Holiday Express, Rebuild Recover, and the Junior League of Monmouth County to create Sandy's Toy Shoppe, a place where families affected by Hurricane Sandy can come and select gifts for their children free of charge. 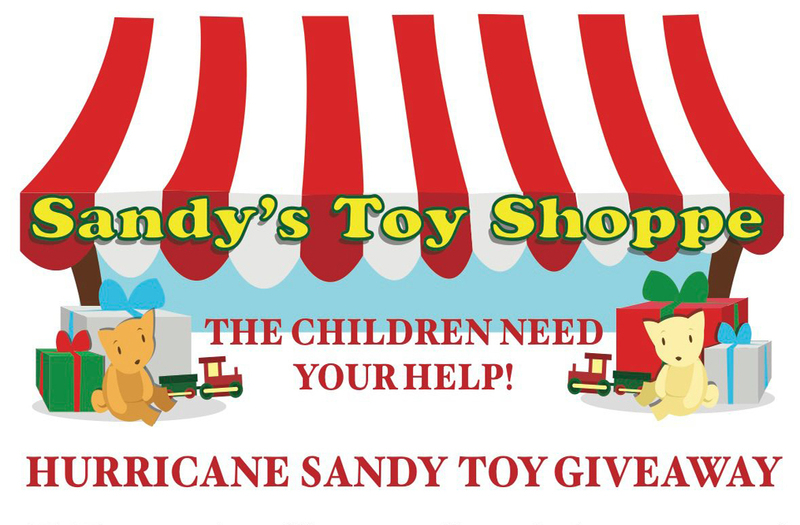 We have been soliciting toys and monetary donations to purchase toys for the past few weeks and are happy to announce that Sandy's Toy Shoppe is ready for business! But we need your help in order to staff the event and make it a success. Volunteers are needed for each hour of the shifts mentioned above and all volunteers should be high-school age or older. Simply reply to this email with the dates / times you are able to help out. With your help, the magic of holiday gift giving will carry on this year!